More Precise GPS Coverage Now Available in U.S. 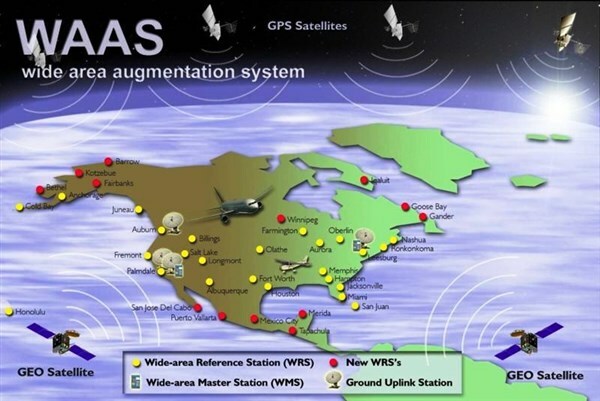 There is now more precise GPS coverage across the U.S., thanks to the recent deployment of the FAA’s Geosynchronous Earth Orbiting 5 Wide Area Augmentation System navigation payload, which was developed by Raytheon‘s Intelligence, Information and Services business. The GEO 5 payload joins two others already on orbit in correcting GPS satellite signal ionospheric disturbances, timing issues, and minor orbit adjustments, giving increased coverage, improved accuracy, and better reliability, according to Raytheon officials. In anticipation of the large number of aircraft operating to and from areas hosting major sporting and entertainment events, the FAA has published updated procedures in its June 21, 2018 NOTAM to enhance safety and minimize air traffic delays. Official airport, navigation and chart data for the FAA's 28-day AIRAC cycle beginning 6/21/2018 became current today as of 09:01Z. This includes updated georeferenced data for airport diagrams and instrument approach procedures available in iFlightPlanner for iPad. 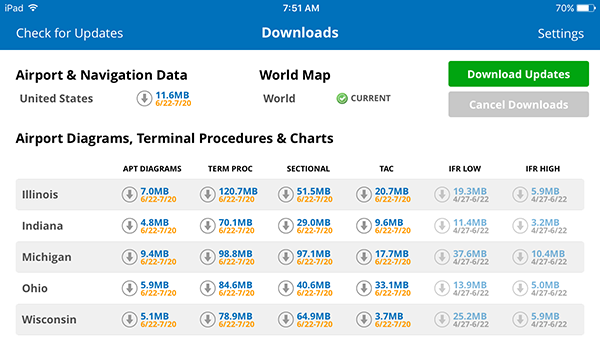 iFlightPlanner for iPad users may now download airport and navigation data as well as aeronautical charts, georeferenced airport diagrams and terminal procedures for the FAA Data Cycle that goes into effect on June 21, 2018. Simply tap the button in the upper-left corner of the Downloads tab to "Check For Updates". Pilots using iFlightPlanner.com on their desktop, laptop, or smartphone will see the iFlightPlanner Cloud automatically make the transition to the new data at 9:01Z on June 21.